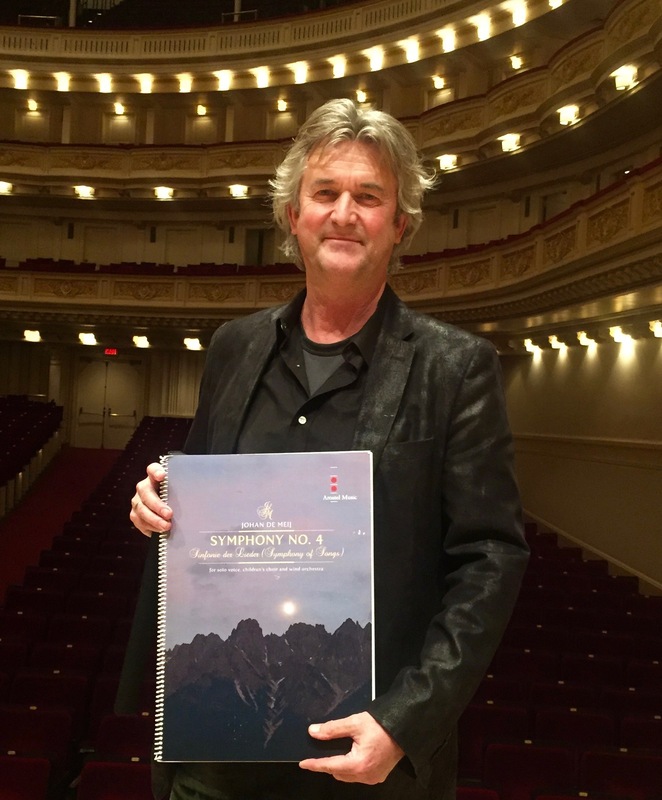 My 4th Symphony for solo voice, children’s choir and wind orchestra is inspired by a variety of 19th century German poems. The first three movements use lyrics from the same source as Gustav Mahler: Kindertotenlieder by Friedrich Rückert. The second half of the symphony continues on the death theme, using a poem by Heinrich Heine (‘Two Brothers’). The last two songs, ‘Early Spring’ and ‘Song of the Harlequin’ by Hugo von Hofmannsthal are a metaphor for rebirth, new life and hope. 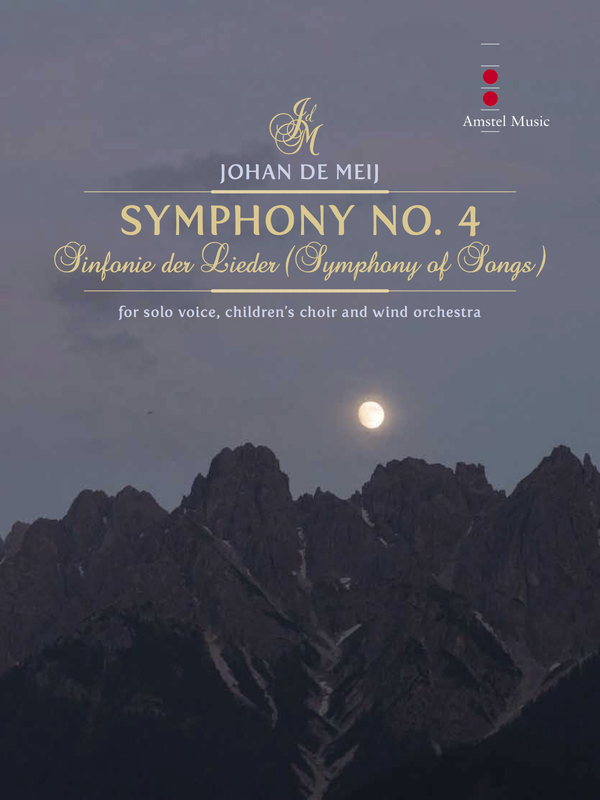 The symphony was written at the request of the South-Tirol Youth Wind Orchestra, for the annual Mahler Festival in Dobiacco-Italy. The world premiere took place on July 24th, 2013 in Dobiacco. Dedicated to Eileen Machan-Schley, my sweet mother in law. Da ich dich sah vergehn. Bei dem Licht, dem matten? Kann dir nicht verloren gehn. Wie du sie wirst wiedersehn. Du sie ewig halten klein? Trennt sich auch nicht Greis und Kind. Mit dem Schwerte in der Hand? Für die adlig holde Maid. Wendet sich ihr Herze zu? Schaut das öde Schloß herab. Einmal um das andere Mal. Und so darfst du mir nicht sein! Wär es auch um neue Qual. Leben noch dies eine Mal! I’m brought back by this period. Like a bright pair of hours. That are granted to man. Just as usual into the room. As usual, my little girl. How you will see them again. To keep them eternally small? or were you supposed to be alienated from them? are not separated the aged and the child. And bright swords clash savagely. A grim duel there, enraged with anger. For the noble, lovely maid. So out comes the sword - you shall decide! Blow upon blow cracking down. Grisly illusion creeps about in the night. each upon the other's steel. Of the mountain the deserted castle looks down. The pair of brothers are fighting there. So numb you must not be! If only to suffer new pain. Of life: live yet once again!